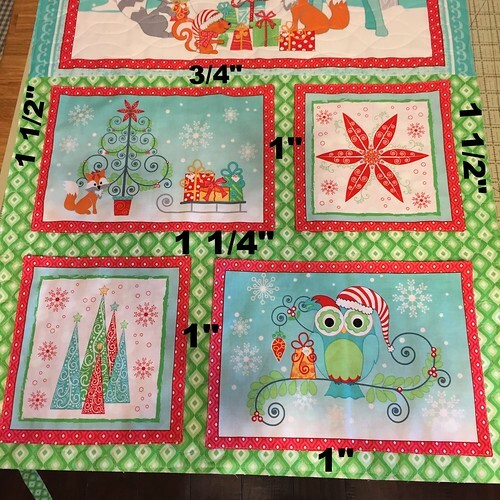 Welcome to Benartex's Christmas in July Blog Hop here at Sew in Love with Fabric! We shared holiday-themed tutorials all last week and have two this week, so be sure to check out all the tutorials and see how to win some fabric to get your own holiday sewing started! Today Wendy from Ivory Spring is here with an adorable wintry owl wall banner using Greta Lynn's Shades of Winter collection from Kanvas. Check out Wendy's tutorial and then scroll to the bottom to find out how you can win a fat quarter bundle of Shades of Winter. Hello Everyone, this is Wendy from Ivory Spring. 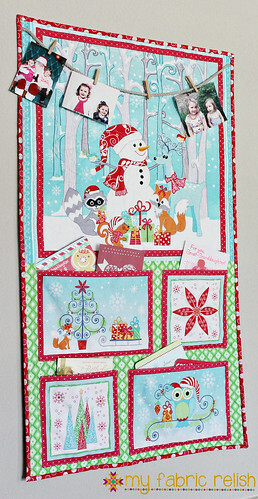 It is lovely to be part of Benartex's Christmas in July blog hop. It is ALWAYS lovely to be in any of Benartex's blog hops. 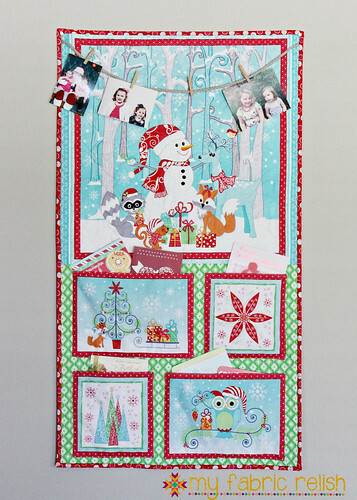 My hop project for the 2015 Christmas in July blog hop is a banner quilt using Kanvas' Shades of Winter fabric line. When I look at fabrics with designing in mind, I first must decide which takes the center stage of the design -- the fabrics, the blocks, or both. I took a quick survey at the Shades of Winter fabrics and instantly decided that I should let the fabrics do the talking in my final design. The prints on these fabrics are simply amazing!! First we have the focal print - which I call "All owls want to be in the selfie shot" print. Doesn't the print look like all the owls just crowded themselves in for a group selfie shot? And then, we have the snowfall print. That is the most brilliant "polka dot" print I have ever seen -- the dots graduate in sizes! cut widthwise, 1 (1 1/2" x 42"). Subcut 4 (1 1/2" x 3 1/2") and 4 (1 1/2" x 5 1/2") rectangles. 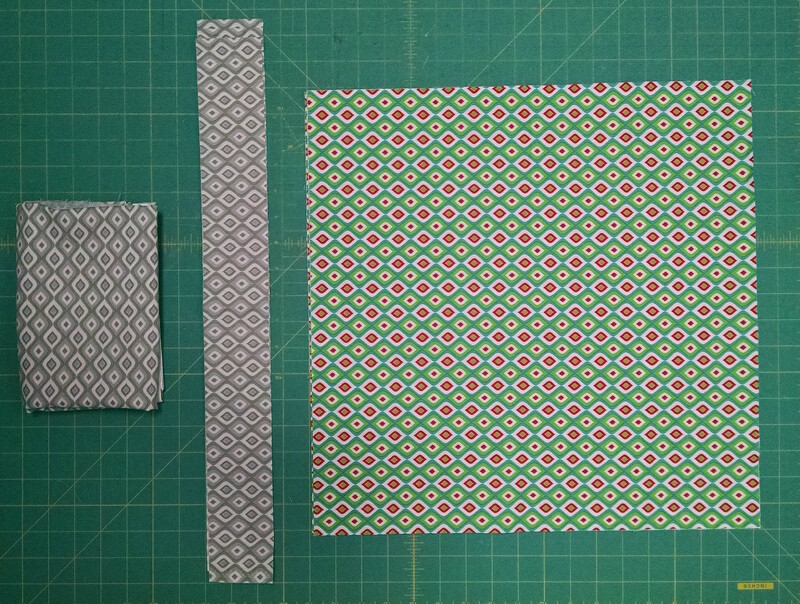 Sew 2 (1 1/2" x 3 1/2") snowfall rectangles to the opposite sides of 1 (3 1/2" x 3 1/2") fussy cut owl square. Sew 2 (1 1/2" x 5 1/2") snowfall rectangles to the remaining opposite sides of owl square to complete 1 frame block. Repeat to make 2 orange framed and 2 gray framed blocks. Sew the frame blocks into a column, alternating the colors. Sew strips and pieced column to complete banner top in the following order from left to right: 1 (2 1/2" x 20 1/2") tree strip, pieced column, 1 (2 1/2" x 20 1/2") tree strip, 1 (1 1/2" x 20 1/2") gray snowfall strip, 1 (5 1/2" x 20 1/2") focal strip. And here you have it - a banner, once quilted and bound, that is ready to hang on that little nook in your house! I hope you liked my hop project -- meanwhile, do check out what others have contributed to this wonderful hop. 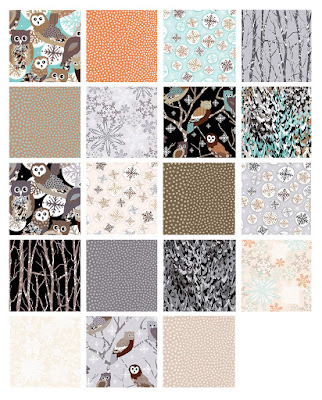 If you are into owls, have you seen my "Owl Be Your Friend" quilt in McCall's Quick Quilts, using Benartex's Forest Friend-zy fabrics? Click here to find out! With that, "owl" see you in Benartex's future hops, and oh, Happy Christmas in July! For a chance to win a fat quarter bundle of the Shades of Winter collection, make sure you're signed up to follow our blog. Leave a message below letting us know that you do so, as well as which colorway you like best in the Shades of Winter fabrics. Giveaway is open through Saturday, August 1st at 11:59 pm EST. And be sure you've visited each day of our blog hop to see all the different Christmas in July tutorials featuring our holiday fabrics! 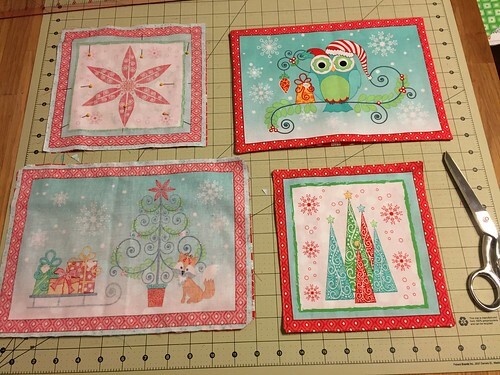 Welcome to Benartex's Christmas in July Blog Hop here at Sew in Love with Fabric! We shared holiday-themed tutorials all last week and have two more this week, so be sure to check out all the tutorials and see how to win some fabric to get your own holiday sewing started! Today Nikki, from The Girl Who Quilts is here with a snowman-filled star table runner and napkin set using the Frosty Forest coordinates. 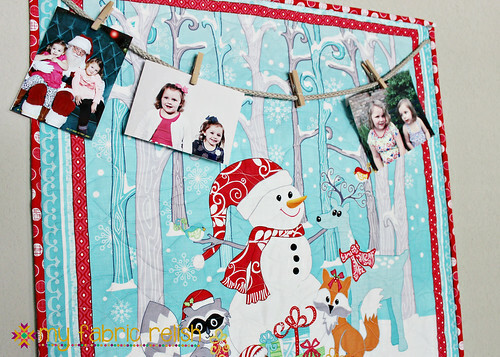 Check out Nikki's tutorial and then head over to her blog to find out how you can win a fat quarter bundle of Frosty Forest plus two of Cherry Guidry's Frosty Forest patterns. Hi! I'm Nikki, from The Girl Who Quilts! Today I'm going to share a tutorial for a cloth napkin and tablerunner set using the adorable Frosty Forest fabric line by Cherry Guidry. You will also need 18" x 50" of batting if you choose to quilt your table runner. 4 squares at 17" x 17"
2 strips at 1 1/2" x 12 1/2"
2 strips at 1 1/2" x 14 1/2"
4 strips at 1 1/2" x 12 1/2"
4 strips at 1 1/2" x 14 1/2"
1 square at 6 1/2" x 6 1/2"
4 squares at 4" x 4"
8 squares at 3 1/2" x 3 1/2"
8 squares at 4" x 4"
4 squares at 3 1/2" x 3 1/2"
2 squares at 6 1/2" x 6 1/2"
Repeat to create all 4 napkins! 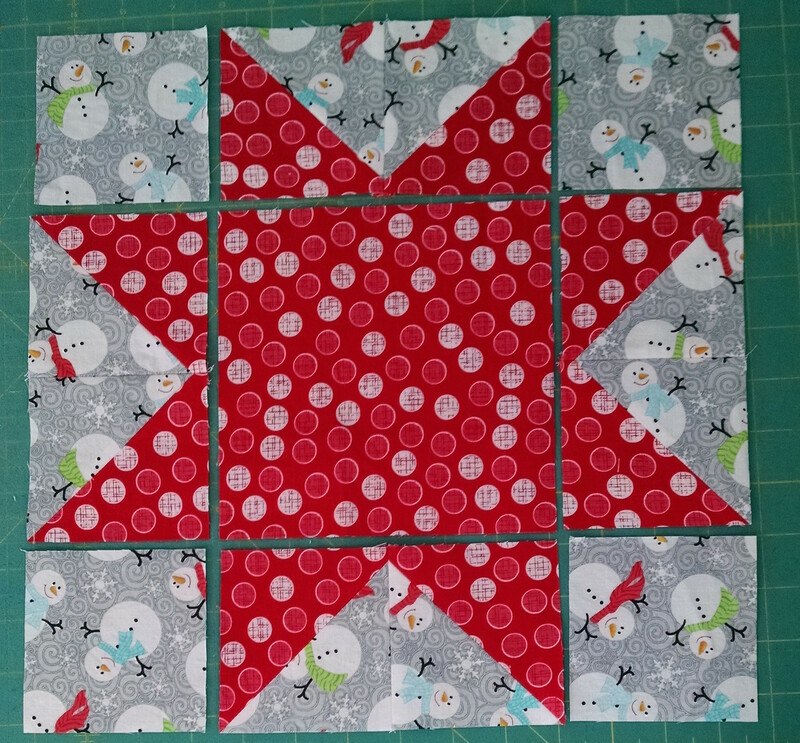 Next pair each red 4" x 4" square with a Grey Snowman Swirl 4" x 4" square. 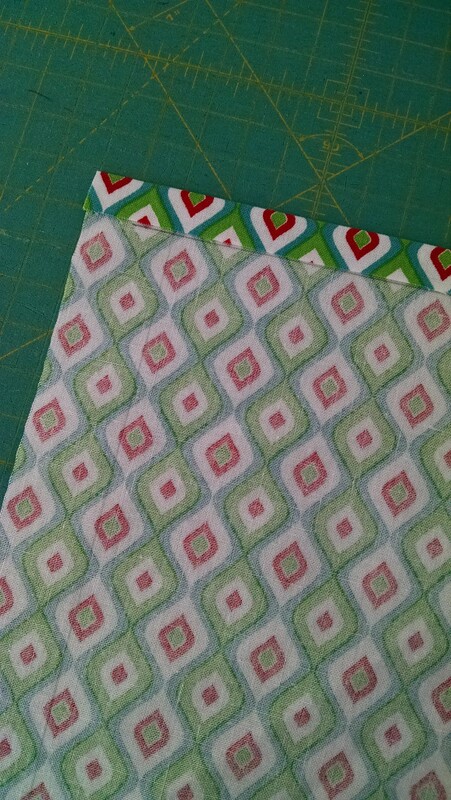 Pair each green 4" x 4" square with a Turquoise Snowman Swirl 4" x 4" square. Repeat the above steps to create TWO blue/green blocks with red borders. For the backing, the remaining piece of Jubilee Geo Grey fabric must be cut into 2 pieces measuring approximately 28" x 20" and pieces together along the 20" sides to create a piece measuring approximately 55" x 20". 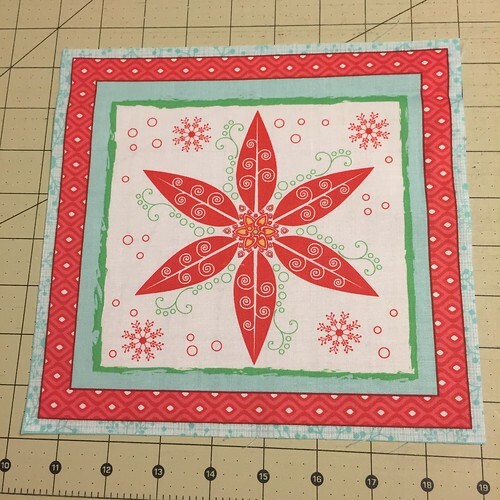 At this point you can finish your table runner with a simple backing or quilt it. I prefer to quilt my table runners. To finish the table runner with a bound edge, sew together the 3 binding strips of Jubilee Geo Grey and bind using your favorite method! Look at that, it's only July and you've got a Christmas decoration and/or gift all ready to go! Head over to Nikki's blog to enter for a chance to win some Frosty Forest fabrics (plus two of Cherry's patterns) for yourself! 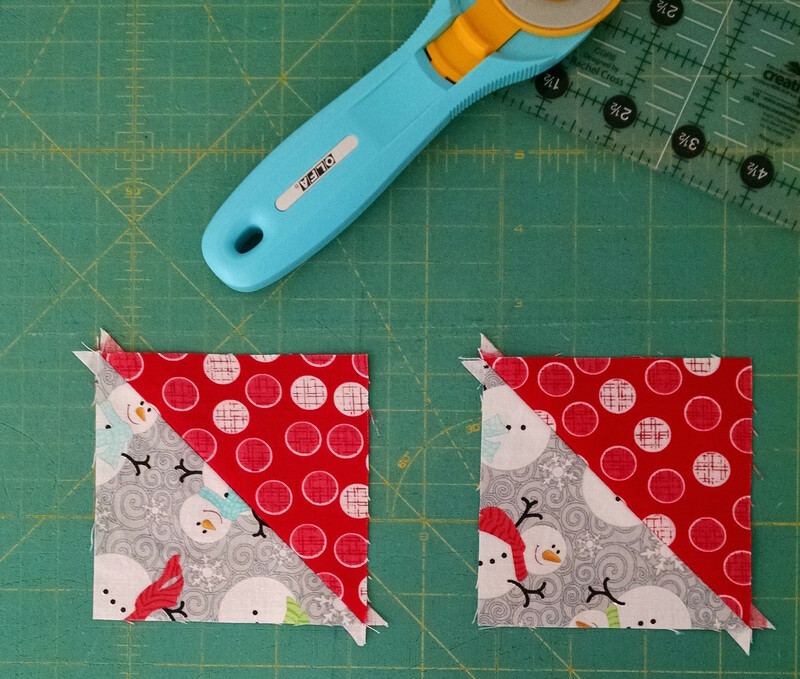 And be sure to stop back each day of our blog hop for a different Christmas in July tutorial featuring our holiday fabrics! 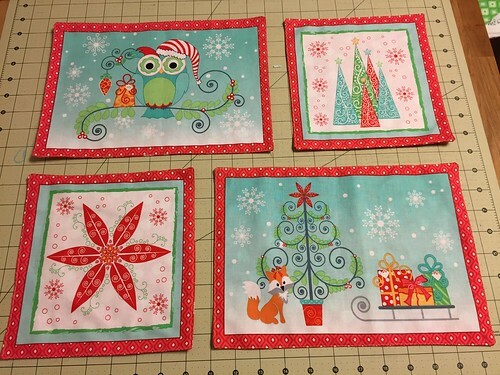 Welcome to Benartex's Christmas in July Blog Hop here at Sew in Love with Fabric! We'll be sharing holiday-themed tutorials this week and beyond, so be sure to stop by each day to see a new tutorial and have a chance to win some fabric to get your own holiday sewing started! 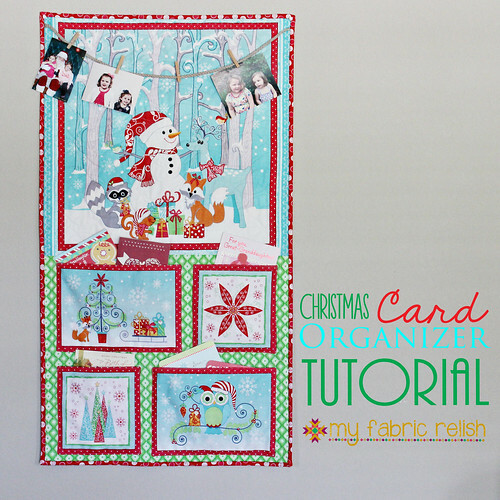 Today Melissa over from my fabric relish is here with an adorable Christmas Card Organizer made using the Frosty Forest panel and a few coordinates. 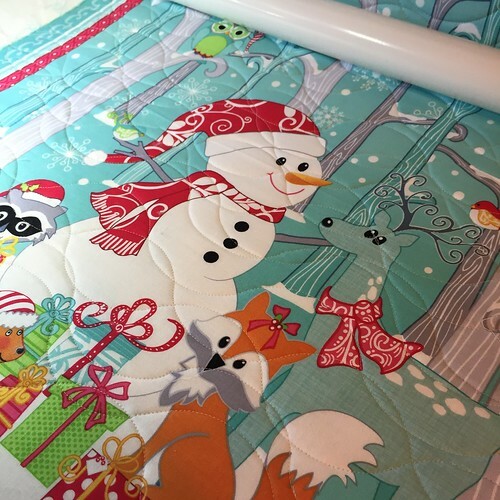 Check out Melissa's tutorial and then head over to her blog to find out how you can win a fat quarter bundle of Frosty Forest plus two of Cherry Guidry's Frosty Forest patterns. I love getting Christmas cards during the holidays and like to be able to look at them and have them out on display, but they can become quite cluttered just sitting on counters or mantles. At my old house, we had this great spot that I would hang some twine and hang them with clothes pins. I really don't have a great spot for them at the new house but since I'm not lacking in wall-space why not a wall hanging? This wall organizer goes together very quickly with very little fabric! 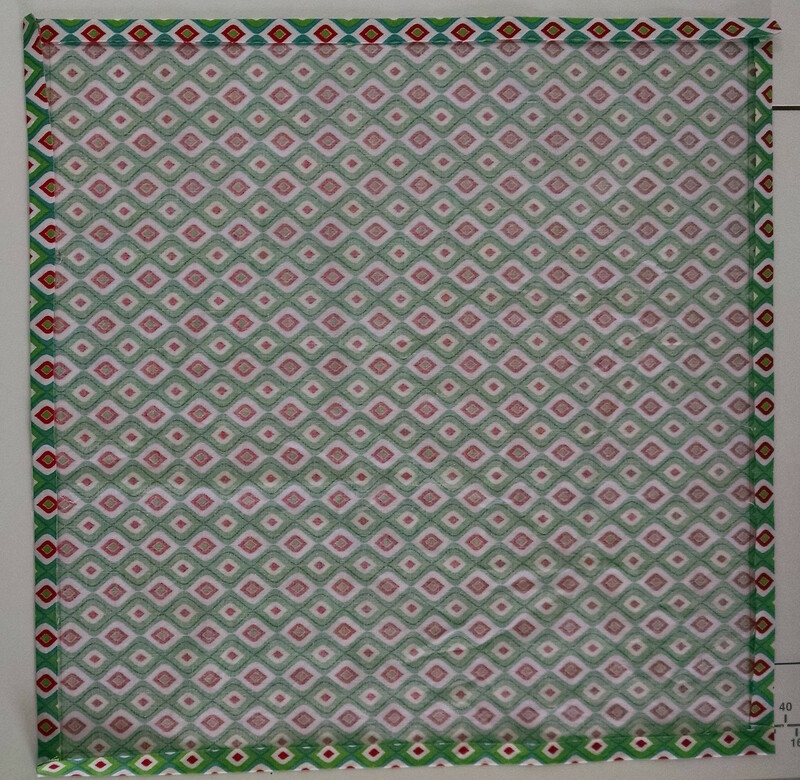 Finished Size: 23" x 41"
1 yard coordinating fabric - this will be for the bottom pocket panel (sub-cut a 24" x 20" piece) and pocket lining (use the remaining fabric to cut pocket lining from Step 2 below). 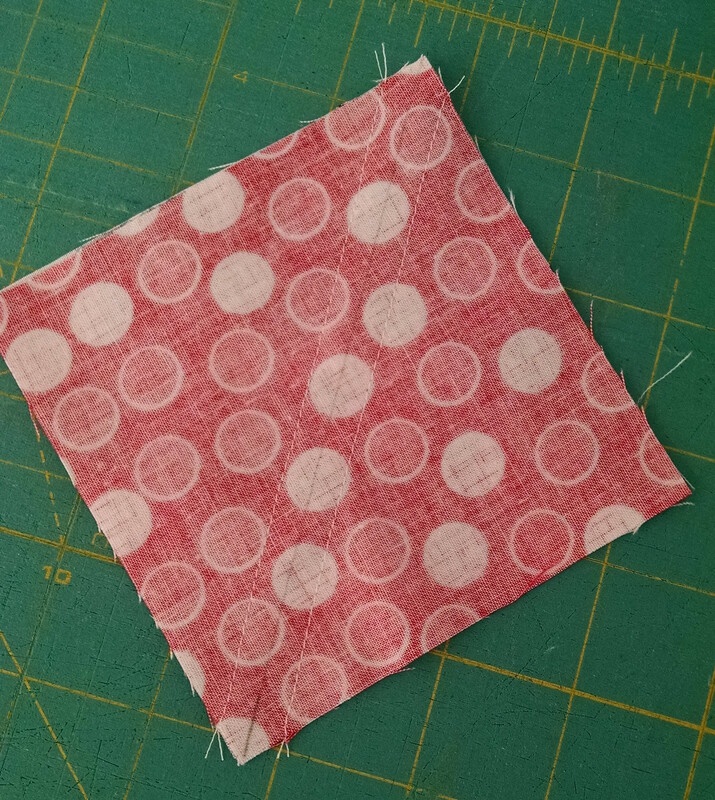 If you would like to use a different print for the pocket lining, you only need (1) fat quarter for those. Baby size batting or a piece of scrap batting measuring more than 25" x 43"
1. Cut the top and bottom portions of the panel (future pocket pieces) from the panel and trim off the excess on the side of the main panel (trim on the dashed black line). Make sure you keep at least an additional 1/4" seam allowance. Next, trim the pocket panel pieces also keeping a 1/4" seam allowance. 2. Cut your pocket lining pieces the exact size of your front pocket pieces using the remaining fabric from your bottom pocket panel fabric of from an additional fat quarter if you like. 3. 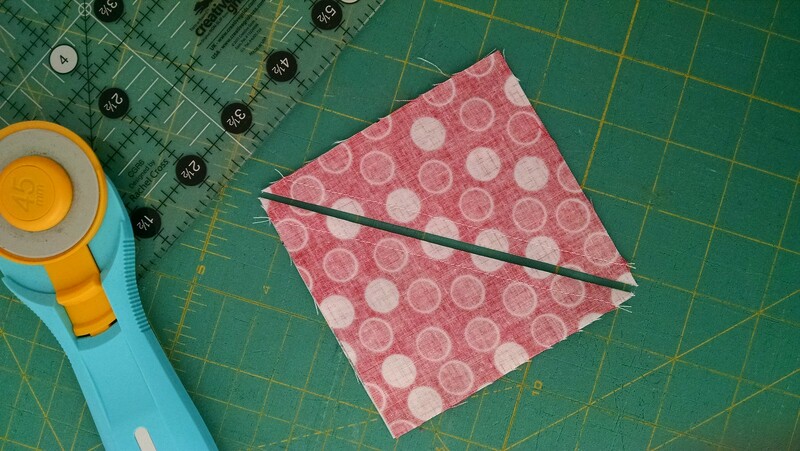 To make the pockets, take one pocket front piece and one lining piece and place them right-sides-together (RSTs) and sew a box around the perimeter using a 1/4" seam allowance and leaving a 2" opening along the bottom side of the pocket. 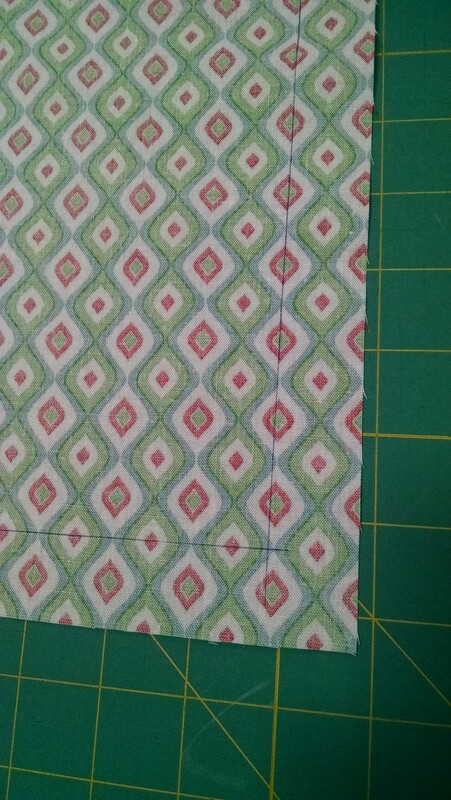 Clip the corners between the stitched line and the raw edge to remove some of the bulk. Turn right-side-out through the hole you left, poke your corners, and carefully press. Topstitch around the perimeter of the pocket whole stitching the opening closed. Do this for all four pocket pieces. Set the pockets aside. 4. Take the bottom pocket panel piece (24" x 20") and sew it to the bottom side of the panel using a 1/4" seam allowance along the 24" side. It's okay if the sides are a bit longer; you can trim those off. Sorry I forgot to take a picture of this part. 5. You will want to quilt your panel before attaching the pockets; therefore, make a quilt sandwich and quilt as desired. 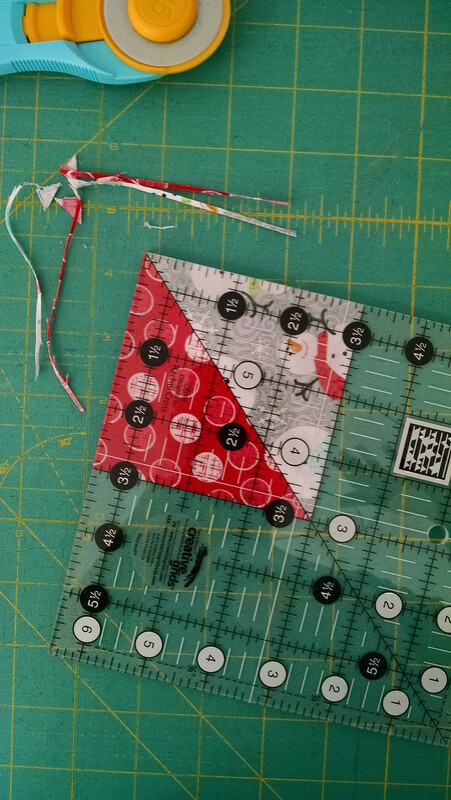 Once you finish quilting, you can now square up your quilt. 6. 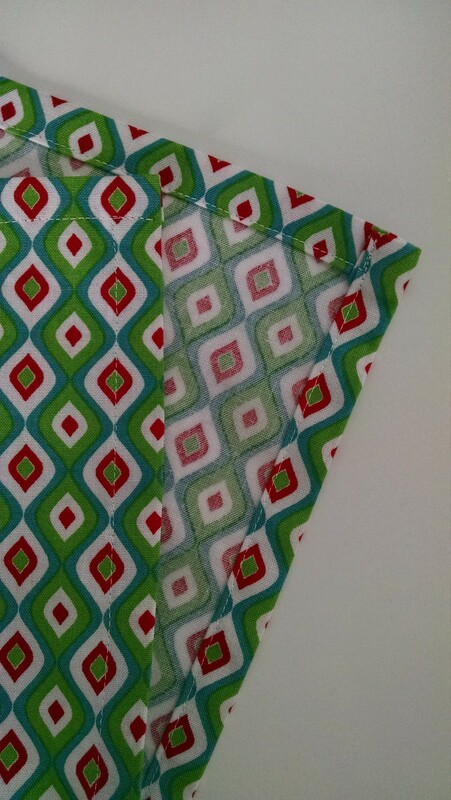 To attach the pockets, you will simply sew them to the quilt along the sides and bottom of the pocket (NOT THE TOP). Be sure to backstitch! My pockets are spaced as shown below. 7. 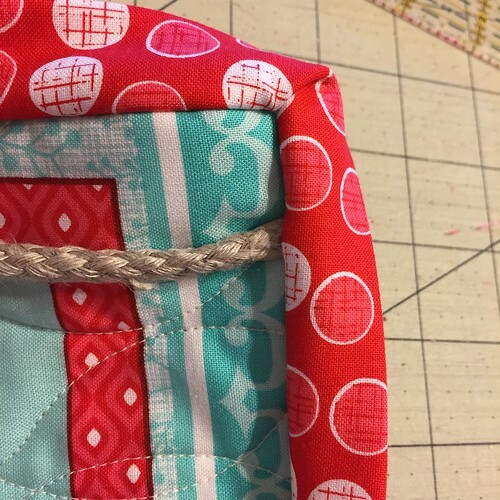 Baste your twill tape/ribbon/burlap rope along the top about 1" down from the top of the quilt using a 1/8" seam allowance. Make sure you are happy with the swag length before sewing in place. You might want yours to hang lower or higher than mine. 8. Attach your binding and you are finished! 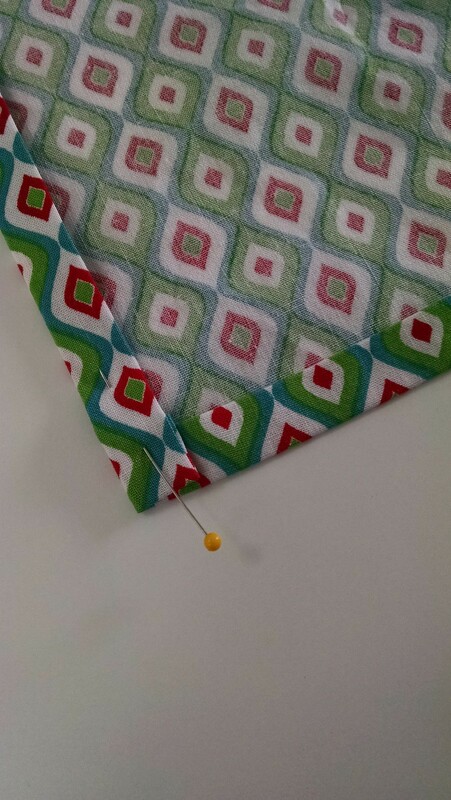 If you have a preferred method of hanging wall hangings (for example: corner pockets, hanging sleeves), you will want to attach that at this time as well. I'm quite lazy and just use thumb tacks. I hope you get a chance to make a Christmas card organizer before Christmas. You only have 5 months! If you would like to win a bundle of Frosty Forest, plus two patterns from Frosty Forest designer Cherry Guidry, head over to my blog and find out how to enter to win! 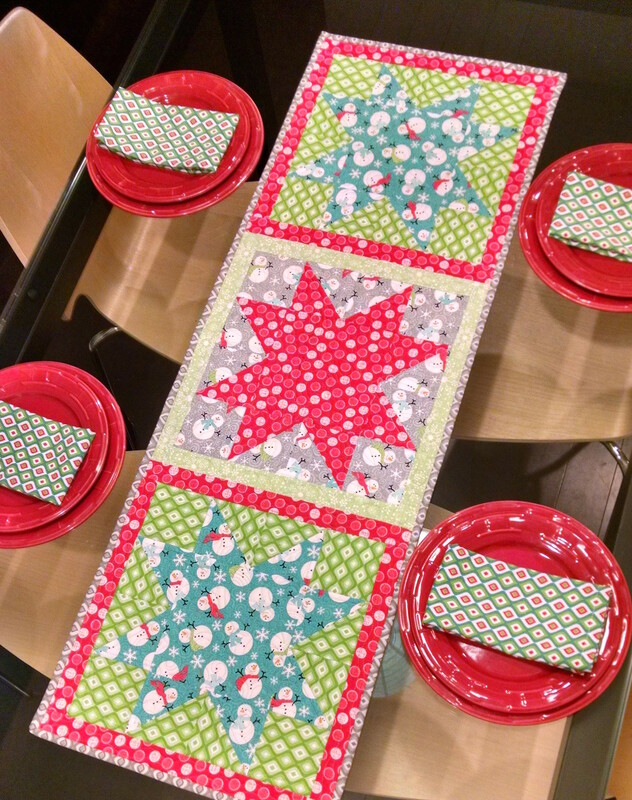 Today Kristen from KD-Quilts is here with an easy placemat design using E. Vive's Santa's Here collection. 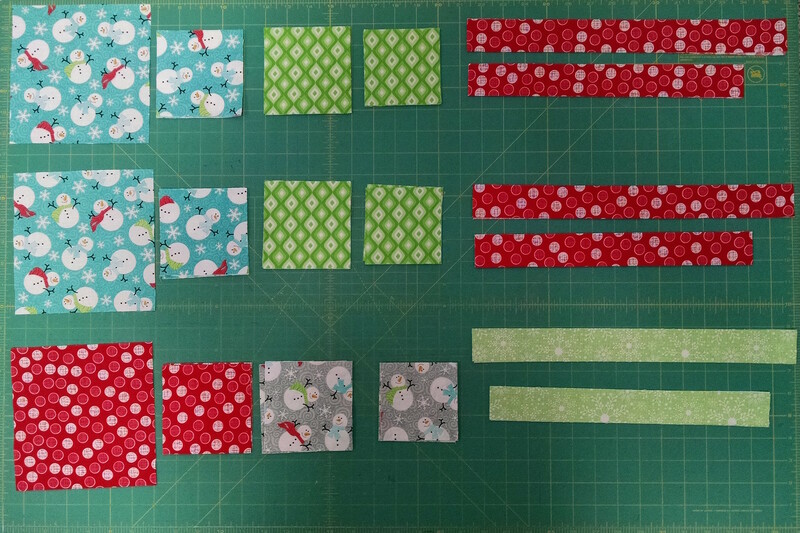 Check out Kristen's tutorial and then head over to her blog to find out how you can win a fat quarter bundle of Santa's Here. Hello! My name is Kristen Danis and I blog over at KD-Quilts. I am thrilled to be here today sharing a super simple placemat tutorial with you! 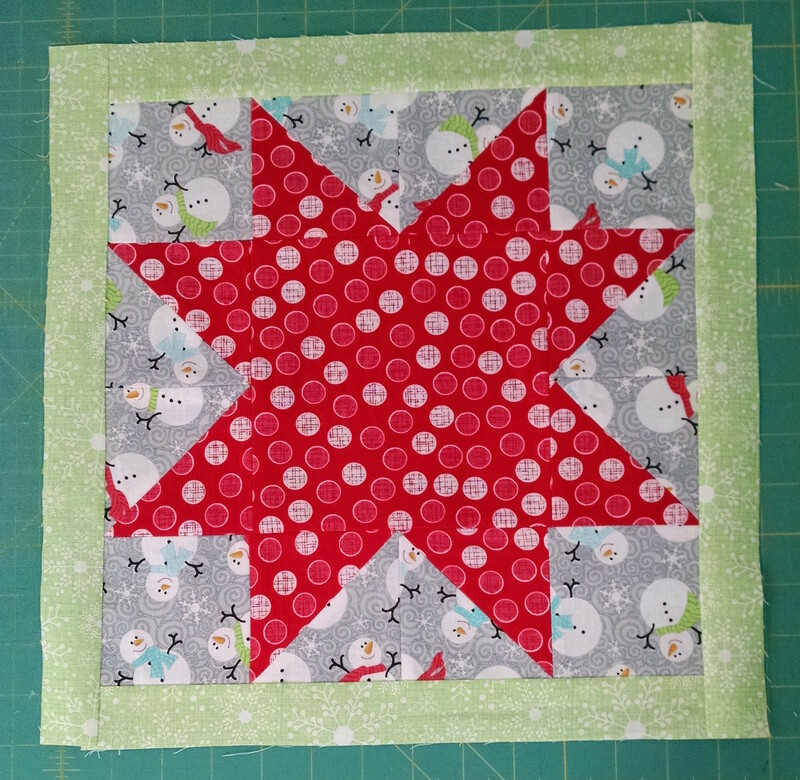 For me, when I'm sewing home decor items for Christmas, I instantly think of patchwork and stars. There's just something that makes it feel like Christmas cheer. This tutorial makes a 16x14 inch placemat. Size easily adjustable. 2 star squares + 1 patchwork square = one star side. Four needed per star. 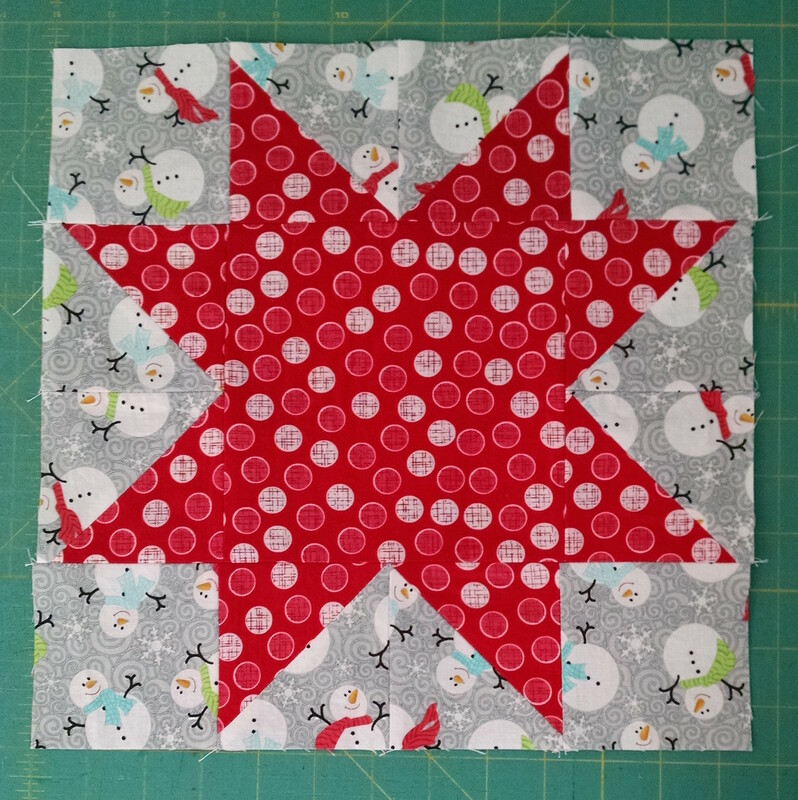 Place one star square over a patchwork square. No exact science here, remember it's wonky! Sew 1/4 inch and trim. Press open. 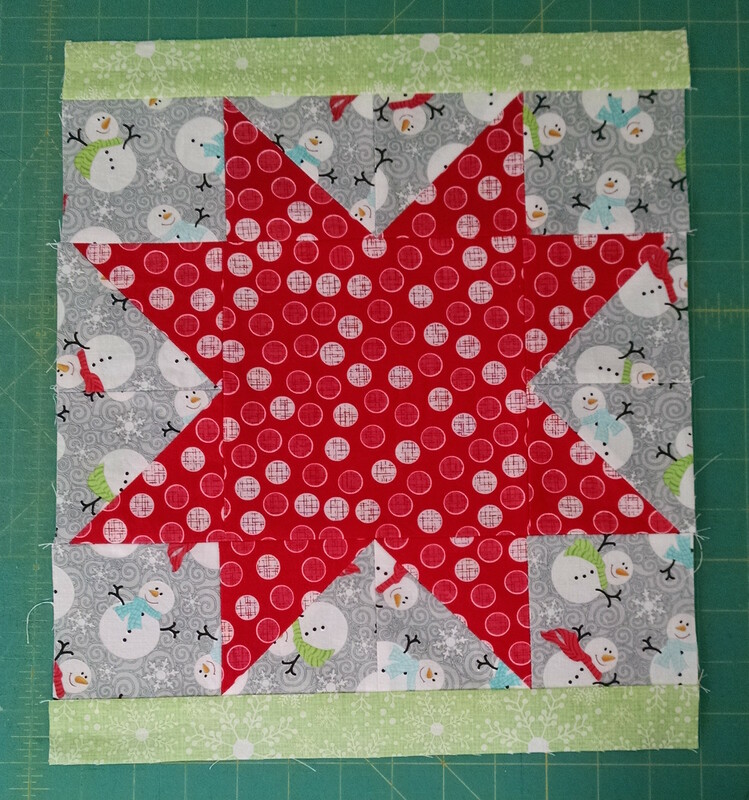 Place another star square over the two sewn together. Again, no exacts. Just be sure you are covering where the first star square is and overlapping to the side on the patchwork square. Press open. Trim unit down to 2.5 inches. 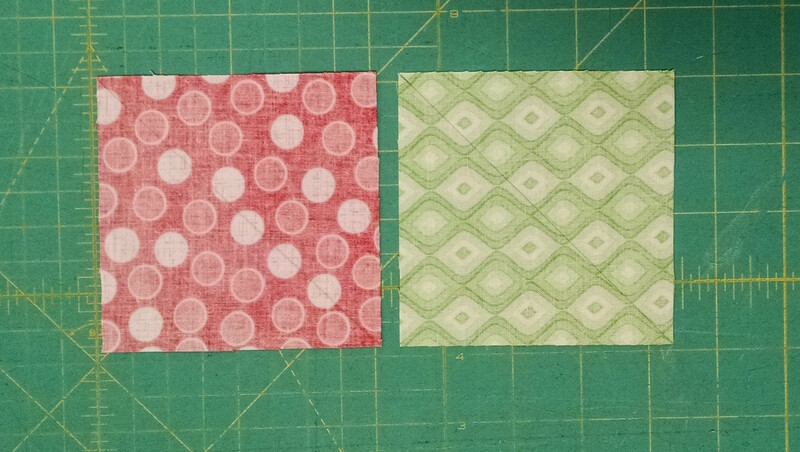 Repeat three more times, each time using a different patchwork square. Continue sewing the rest of the patchwork placemat. Your rows should have 8 squares per row and be 7 rows tall. 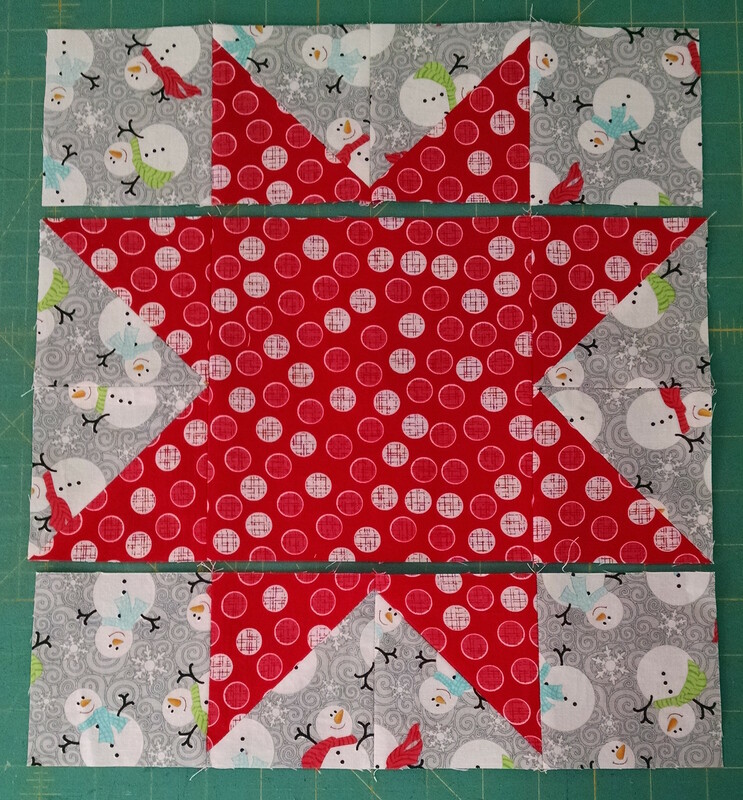 I made a set of four placemats with one star per mat and changed where the star is located in each one. I chose to quilt echoing the star (you can see the back side of the placemat, which shows off the quilting, below). It made a fun design on the rest of the placemat and the star stands out. It gives a little more interest than plain straight lines, and is still super easy. 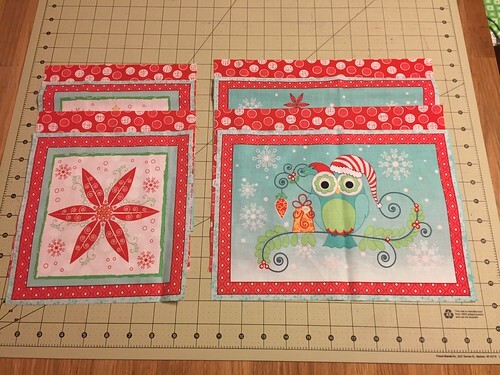 Thanks for checking out my project and be sure to take a look at all of the other wonderful Christmas in July posts on Sew in Love with Fabric! 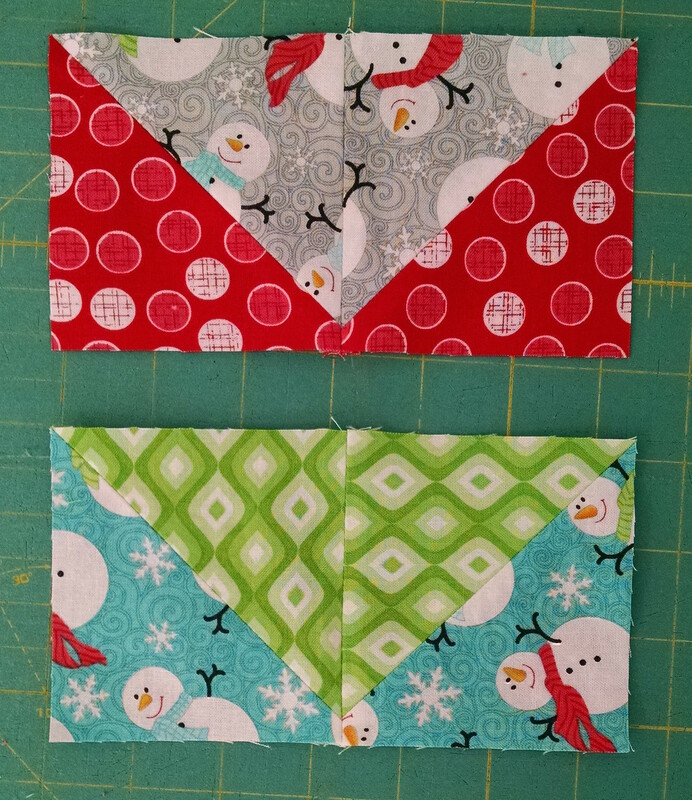 Head over to Kristen's blog to find out how you can win a fat quarter bundle of Santa's Here to play with!